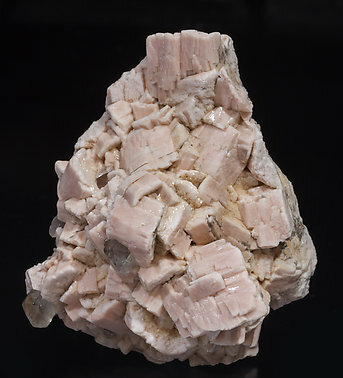 Group of Microcline crystals with very well defined Baveno-law twins, with fine parallel growths and a pinkish color and bordered on some edges by white perthitic growths of Albite microcrystals. The sample is from the Daunis collection whose label we’ll send to the buyer. 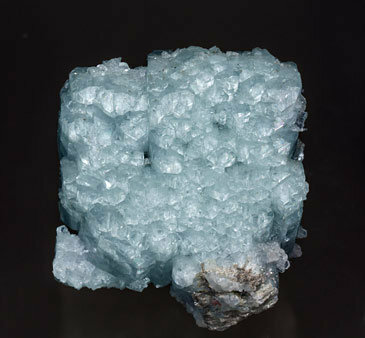 Parallel aggregates of very sharp Albite (variety cleavelandite) crystals. 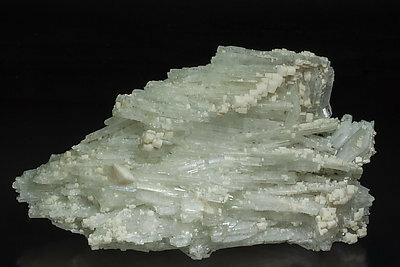 They are between transparent and translucent and are partially coated by white sharp feldspar (probably Orthoclase) crystals. 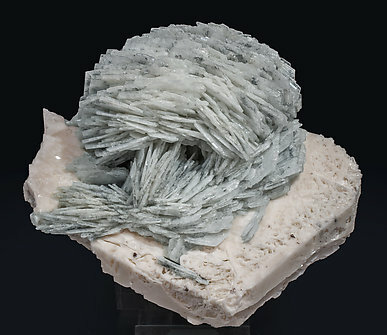 Very aerial rosette aggregates of laminar Albite (cleavelandite variety) crystals implanted on an Orthoclase crystal. 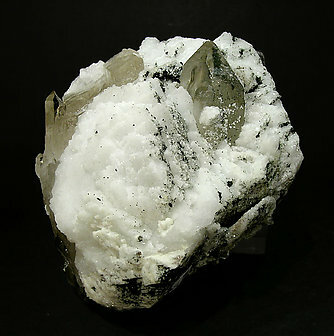 From a very new locality, the prisms of transparent smoky Quartz are on a matrix of Albite and are partially covered by small crystals of Bavenite, which is also present near the edges of the Albite. A novelty at Tucson 2015. 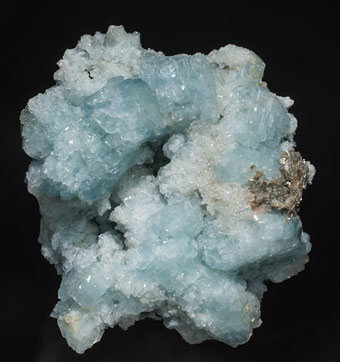 Parallel aggregates and polycrystalline growths of bright and translucent Albite crystals that have an unusual and beautiful clear sky blue color and are with small aggregates of laminar Muscovite. 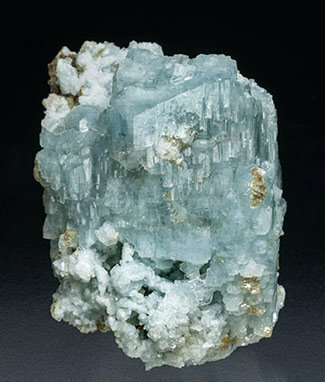 The sample has been analyzed and we will send a copy of the analysis to the buyer.